Having recently upgraded to Amazon Prime I have been dedicating some time to making the most out of the Prime Instant Videos and thought I'd provide a little summary of the most recent three. Based on the young adult novels by Cassandra Clare, this film chronicles Clary Fray's accession to Shadow Hunter. When her mother disappears, Clary Fray learns that she descends from a line of warriors who protect our world from demons. She joins forces with others like her and heads into a dangerous alternate New York called Downworld. I read an article the other day questioning why young adult fiction has been pigeon-holed as only appropriate for teenage girls, but The Mortal Instruments seems to play precisely to that demographic. And what is it with love triangles? Books of this ilk are the only places where they seem to be a thing and it's old hat. Bella, Edward and Jacob. 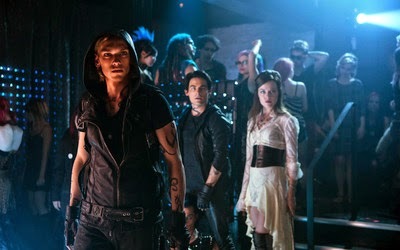 Clary, Jace and Simon. Katniss, Peeta and Gayle. Jamie Campbell Bower's cheekbones, however, could inspire endless sonnets. An FBI agent and an Interpol detective track a team of illusionists who pull off bank heists during their magic show performances and reward their audiences with the money. As far as casts go, this puts forward one heck of an ensemble. 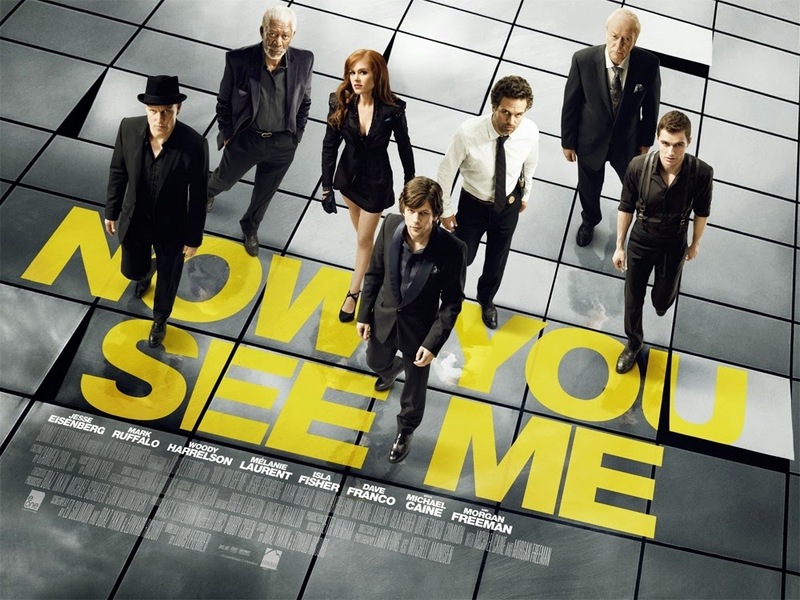 Jesse Eisenberg, Isla Fisher, Dave Franco, Woody Harrelson, Michael Caine, Mark Ruffalo, and Morgan Freeman. I was thoroughly invested in this film all the way until the ending. It was fast paced, slick, funny and all the smoke and mirrors, slight of hand stuff was gripping. It's not that I saw the ending coming, on the contrary it was a genuine plot twist, but I did think that it was a touch lazy. If the ending of this had have been stronger I would not have had many quibbles. Throughout the film the fun came from seeing something impossible and trying to figure out how it could have logically happened. The end of the movie almost shattered this intrigue by laying it out for the audience in a disappointing way. But don't get me wrong, this is a strong film and I do look forward to the sequel. The best of the three films in this post. Inspired by actual events the movie depicts a group of fame-obsessed teenagers using the internet to track celebrities' whereabouts in order to rob their homes. It showcases everything that is wrong with my generation and satirises it. It should be unbelievable and far fetched but it sadly isn't. And to make matters worse, you know the content is vacuous, fake and wrong but it's so fun. Find me a young person who doesn't care about how their social media portrays themselves to the masses, we try and create an image of ourselves. We can be guilty of stalking on Facebook, updating every aspect of our lives on Instagram, lusting after material goods. Of course the girls and boy depicted in the movie take it criminally too far, but real life Young Hollywood, The Hills, 90210 does look glamorous and people want a piece of that. There's a bit in the movie that talks about the fascination with gossip via outlets such as TMZ and Perez Hilton and it is odd that people like Lindsey Lohan are seen as this almost anti-hero. Writer and director Sofia Coppola truly flexes her film making muscles creating a dynamic and mesmerising series of scenes. Each burglary employs a different filming technique, from a wide continuous tracking shot, to authentic looking security cam found footage. There's the use of webcams, copious selfies, slow motion footage with an on-the-pulse soundtrack. Particularly stand out for me was the dreamlike sequence where Rebecca sprays Lohan's perfume whilst staring at her reflection in a mirror. It's gripping and I'm not sure why. Emma Watson deserves an honourable mention too. With a sickening good valley girl accent, her utterly sincere delivery of absolute hogwash script is fantastic. These people talk endless rubbish and what's worse is that I lend my ears to it by watching E! 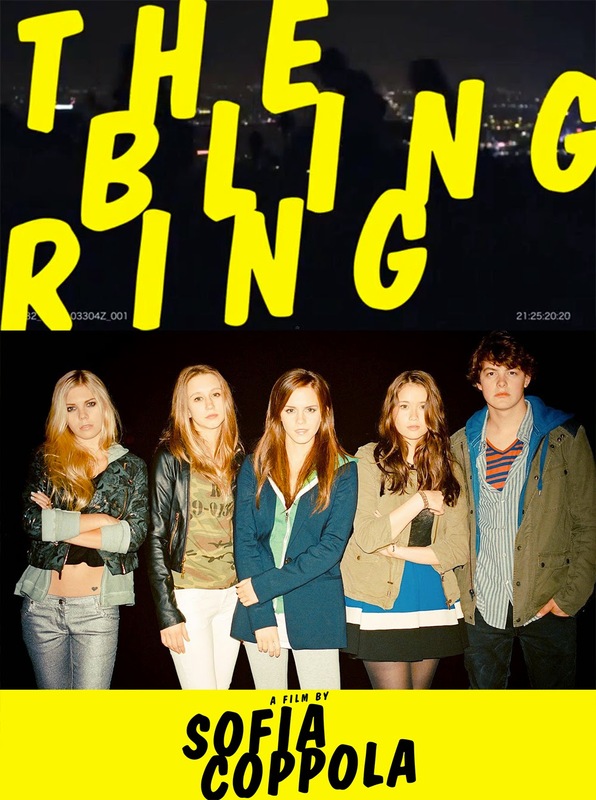 Entertainment and the like - and The Bling Ring really made me wonder why.